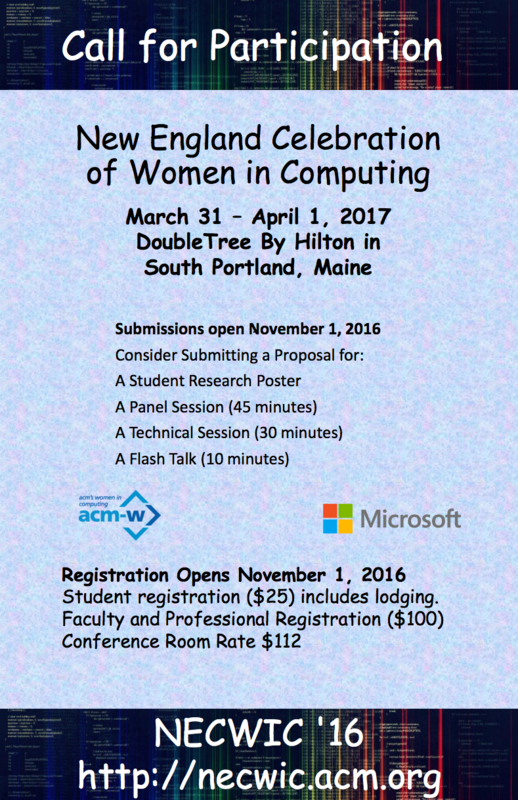 The goal of the New England Celebration of Women in Computing (NECWIC) is to encourage the participation of women in computing by providing a vehicle for students to explore opportunities in computing, to network with other women from academia, industry, and government, and to facilitate connections and friendships among women in the region who share the same passion for computing. We welcome participants from all of these groups. We welcome all women and allies who recognize the importance of gender diversity in computing. Dr. Mary Fernández is President of MentorNet, a division of Great Minds in STEM. Great Minds in STEM is a national non-profit with a 27-year history of advancing STEM education in under-served communities. MentorNet is an open social network that provides the opportunity for all STEM students, nationwide and in all levels of higher education, to have access to mentors who are professionals working in STEM fields. MentorNet’s guided, one-to-one mentorships help all students – especially women, under-represented minorities, and first-generation to college – to persist and succeed in their fields. 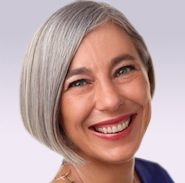 Before joining MentorNet, Mary had a 17-year career at AT&T Labs Research, as a research computer scientist specializing in database and information systems, then as the head of distributed computing research, and finally as assistant vice president of information and software systems research. Mary received A.B. and Sc.M. degrees in computer science from Brown University and the Ph.D. in computer science from Princeton University. 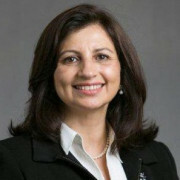 Soha Hassoun is currently Chair of the Department of Computer Science at Tufts University. She holds secondary appointments in the Department of Electrical and Computer Engineering and also in the Department of Chemical and Biological Engineering at Tufts. Soha received the BSEE degree from South Dakota State University, Brookings, SD, the Master’s degree from the Massachusetts Institute of Technology, Cambridge, MA, and the Ph.D. degree from the Department of Computer Science and Engineering, University of Washington, Seattle, WA. Students rooms for the night of Friday, March 31st will be provided with registration. Students will be housed in groups of 2-4. Groups can request roommates at registration. Professionals can reserve a room at the DoubleTree by Hilton Portland Hotel for the conference rate of $112.00 a night. This rate will be available from Tuesday, March 28th through Tuesday, April 4th , subject to availability of guest rooms at the time of reservation. The Deadline for reservations at the conference rate is March 1, 2017. Mention group code NEC to get the conference rate. Registration opens November 1, 2016! Posters – Students are encouraged to submit posters on research, class projects, and work-in-progress for the poster session on Friday, March 31. The poster session gives students the opportunity to discuss their work with conference attendees in an informal setting. To participate, submit a poster abstract where you summarize the key idea of your poster. Poster abstracts will be lightly reviewed for suitability only. Our goal is to help students gain confidence and practice public speaking in discussing their work. Posters should be vertical and no larger than 24″x36″. Judging will be separate for undergraduate and graduate posters. Posters will be judged on the originality, content, technical quality, clarity of the poster, and quality of the presentation. Prospective poster presenters may wish to read colinpurrington.com/tips/poster-design for guidance on creating posters. Do not forget to check our list of topic ideas (see below). Technical Sessions – Are you using a tool that is very helpful and perhaps under used? Is there one tool that you feel is invaluable in your environment? Is there a skill that you could teach a willing pupil in 30 minutes? Submit a brief topic outline with your name and affiliation and be sure to mention if laptops or smartphones/tablets would be needed. Panel Sessions – get a group of 2-4 panelists to share their perspective on a topic. Submit a brief description of the topic and a very short statement from each of the panelists about their perspective. Be sure to include the names and affiliations of each panelist. 2 hour Workshop Offering – we have room for one workshop on Saturday morning. Submit an overview of the workshop along with an outline of topic coverage for the session. Include what materials participants would need to bring. Attendance for this session will be limited and on a first come first served basis.